Gilbert, Margaret. “Scientists Are People Too: Comment on Andersen.” Social Epistemology Review and Reply Collective 6, no. 5 (2017): 45-49. Andersen, Line Edslev. “Outsiders Enabling Scientific Change: Learning From the Sociohistory of a Mathematical Proof.” Social Epistemology 31, no. 2 (2017): 184-191. As Line Edslev Andersen implies in her thoughtful article, the fact that scientific advances are sometimes made by relative outsiders to a given scientific specialty calls for an explanation. Counterintuitive as this may seem, are outsiders to some extent in a privileged position? In the discussion to which Andersen refers, I proposed one way in which being an outsider is advantageous. I argued that, in brief, insiders will be to some degree constrained in their investigations by the collective beliefs of their scientific community, where such beliefs are understood to involve a joint commitment of the members of the community. Outsiders will not be so constrained. Andersen contrasts my proposal with what she refers to as a simpler proposal from Thomas Kuhn that references an insider’s education, an education that postulates answers to basic questions that “come to exert a deep hold on the scientific mind”. Outsiders will not be so constrained. Andersen focuses on a particular case study, an outsider’s solution to the Four-Color Problem in mathematics, and argues that an appeal to education appears to explain it. Wolfgang Haken, the outsider in question, did not receive the same education as the relevant insiders. This allowed Haken to make use of less sophisticated methods of proof than insiders would at that time have considered using. Andersen goes on to consider whether there is evidence of a relevant joint commitment among the insiders in this case. Did they have a collective belief that more sophisticated methods were needed—a collective belief that could have constrained their efforts to solve the Four-Color Problem or affected their reactions to the solution that Haken presented? Her conclusion is that the data that she has carefully examined fail to provide an affirmative answer to this question. Her article ends with a challenge to the idea that participation in a given collective belief may influence a scientist’s scientific work: the attribution of “powerful, non-epistemic motives” to scientists “must be accompanied by strong evidence”. In what follows I make some relatively general points in response to Andersen’s discussion. First, I want to emphasize that the source of my proposal about the role of collective beliefs in science was a proposal about the role of collective beliefs in human life generally that was developed without reference to science. Let me explain. In the course of their everyday lives people often make statements of the form “We believe that…” and do not understand by this “We all believe that…” or “We both believe that…” The same goes, with relevant changes, for “They believe that…” Call such statements as collective belief statements. I have argued in several places that what people are referring to when they make such statements is a collective belief understood roughly as follows: two or more people collectively believe that p if and only if, by definition, they are jointly committed to emulate by virtue of their several actions and utterances a single believer of the proposition p. In other words, they are severally to speak and act as if they are “of one mind” on the subject. Though one indication of the presence of a particular collective belief is the making of an appropriate collective belief statement, there are other such indications as well. Among other things, the existence of a particular collective belief will be indicated, where relevant, by rebukes for saying something expressive of a contrary belief, rebukes one would have the standing to issue by virtue of a joint commitment constitutive of the belief in question. Now there is reason to think that collective beliefs abound in all walks of human life. Take the context of an informal conversation, for instance. One person says “What a lovely day!” and another responds “Yes, indeed!” This appears to enough to fix “It’s a lovely day” as something collectively believed by the two, as will appear if one or another conversationalist attempts baldly to presuppose or assert the contrary. The example just given involves the smallest possible group. The same applies to larger groups as well. Thus at a meeting of a well-populated literary society someone may propose that a certain novel is extremely fine and everyone else may nod approval of this statement. In standard circumstances this will suffice to establish a collective belief among those present that the novel in question is extremely fine. As I have argued it is possible, though not necessarily common, for the beliefs of the participants in such interactions to run contrary to the relevant collective belief both at the time it is formed. If collective beliefs are prevalent in human life generally, and if, in particular, they are the predictable outcome of conversations and discussions on whatever topic, we can expect many collective beliefs to be established among scientists in the various specialties as they talk about their work in both small and large groups. Any collective belief involves a normative constraint—through the constitutive joint commitment. It will therefore be apt to influence the participating scientists’ behavior in the direction of conformity to the joint commitment. To say this is not to suggest any form of irrationality on their part. On the contrary, as they will understand, one ought to conform to any joint commitment to which one is a party, all else being equal. Further aspects of the matter that they would reasonably take into account include their owing compliance to their fellows, who have rights to their compliance, and the fact that if they fail to comply their fellows have the standing to rebuke them–something many would find painful. That is not to say that every scientist or even most scientists will generally conform to the joint commitments constitutive of collective beliefs to which they are party when confronted with evidence that the involved belief is suspect or false. There will, however, be considerations to hand that militate against their speaking and acting in ways expressive of doubt on the topics in question. One who is swayed by these considerations may tend to censor his thoughts as well, repressing or at least not following up doubts about the truth of the relevant collective beliefs. Insofar as they are not party to these collective beliefs, outsiders to the relevant scientific community will not be confronted with these considerations. They will to that extent be better placed to make a discovery that runs counter to a given collective belief of the community. I turn now to Kuhn’s explanation of the potential contribution of outsiders to a given scientific field, as presented by Andersen. I focus in particular on his reference to education or, more vividly, “the educational initiation that prepares and licenses the student for professional practice” an initiation such that answers to certain basic questions “come to exert a deep hold on the scientific mind”. In that brief representation of Kuhn’s idea, precisely what is involved in the process of education is not discussed. Nor do I aim to make more than one point about that process here. That point is this: the interactions of students and teachers of science are fruitful fields for the development of relevant collective beliefs. It is plausible to suppose, therefore, that a full description of the educational initiation of scientists and the way it constrains them should reference such beliefs. Of course, education has a feature that is not common to all situations in which collective beliefs develop. There is a hierarchy of sorts, with the teacher having the upper hand. The existence of this hierarchy, however, is no barrier to the formation of relevant collective beliefs. Thus suppose that Mark, a teacher, says to a student who appears to be nodding off: “Sally, did you get that? What is it that quarks combine to form?” and Sally confidently replies “Hadrons”, to which Mark responds “Correct.” This interchange is of the right sort to make Sally a party with Mark to a collective belief that quarks combine to form hadrons. This is so whether or not Sally comes personally to believe that quarks so combine. Should Mark turn to the other members of the class who indicate their concurrence with what Sally has said before he responds, the collective belief in question will be ascribable to the class as a whole. 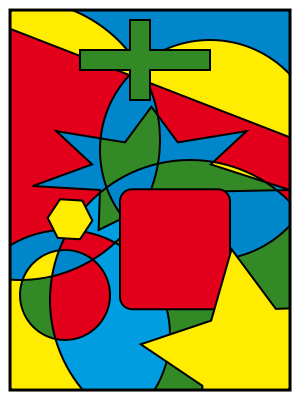 The collective beliefs formed in the course of a scientific education will include not only beliefs about the way things are, but beliefs about the appropriate methods of inquiry such as the one adduced by Andersen in her article: that the Four-Color Problem cannot be solved by certain elementary methods. Kuhn maintains that the education scientists receive leads to deeply held personal beliefs. It is a good question how to explain this. I am happy to allow that some processes describable without reference to collective beliefs are likely to be implicated. For instance, if Ben’s teacher Nadia confidently asserts that certain elementary methods are of no use in solving the Four-Color Problem, Ben may be inclined to take what she says to be true in part because of her confident manner. That said, should there be a corresponding collective belief among mathematicians in the field of which Ben becomes aware this is likely to make a difference to him in several ways, including the following. First, it is apt to firm up his confidence in the point at issue, since he may reasonably suppose that the mathematicians in question arrived at their belief after subjecting it to their combined scrutiny, and have not yet seen fit to revise it. Second, it will enhance his sense of freedom to express the point in conversation with members of the relevant mathematical community without fear of rebuke, derision, or worse—ostracism being one possibility. Thus he will be under no pressure from the community to rethink the point or change his personal position. This will more easily allow the belief in question to become deeply entrenched in his mind. In sum, just as collective beliefs are apt to discourage the formation or persistence of contrary personal beliefs, they are apt to encourage the corresponding personal beliefs. Collective scientific beliefs, then, can be expected to play a role in a full explanation of the depth of the personal scientific beliefs of those who have had a scientific education. Given the ease and prevalence of collective belief formation in the course of conversations and discussions of whatever kind, we can expect the formation of such beliefs to be an integral part of the education of scientists and the scientific life generally. Once established, any collective belief is apt to discourage talking, acting, and, ultimately, thinking in ways that run contrary to the belief in question, and to encourage talking, acting, and thinking in ways that accommodate that belief. When the belief in question is false, outsiders to a given scientific discipline will—to that extent—be in a privileged position. Precisely what happened in the case of any given outsider’s contribution is of course, a matter for the kind of fine-grained inquiry undertaken by Andersen—though the evidence available may not be conclusive in one or another respect. In closing I should like to thank Andersen for her careful representation of my account of collective belief and for considering the relevance of collective beliefs to Haken’s solution to the Four-Color Problem. Line Edslev Andersen, “Outsiders enabling scientific change: learning from the sociohistory of a mathematical proof”, Social Epistemology (2017), 97. For present purposes I follow Andersen and allow that mathematics is a science. Margaret Gilbert, “Collective belief and scientific change” in Sociality and Responsibility: New Essays in Plural Subject Theory (Lanham, MD: Rowman and Littlefield, 2006). Note that I say that I propose one way in which outsiders may have an advantage. I do not deny that there may be several such ways. I characterize the content of this joint commitment in the next section. Andersen, “Outsiders”, 185, quoting Thomas Kuhn, The Structure of Scientific Revolutions (Chicago: University of Chicago Press, 1996 ), 4-5. Andersen,“Outsiders”, 185, indicates this but it is worth developing a little in the present context. See Andersen “Outsiders”, 185. For my initial presentation and arguments for this account see Margaret Gilbert, On Social Facts (London: Routledge, 1989), ch. 5, and for its development over time see Margaret Gilbert, Living Together: Rationality, Sociality, and Obligation (Lanham, MD: Rowman and Littlefield, 1996), Introduction. For an extended discussion of joint commitment see e.g. Margaret Gilbert, A Theory of Political Obligation: Membership, Commitment, and the Bonds of Society (Oxford: Oxford University Press, 2006), ch. 7; also Margaret Gilbert, Joint Commitment: How We Make the Social World (New York: Oxford University Press, 2013), Introduction and ch. 2. I argue that joint commitment may well be the only ground of the standing to rebuke and related standings in Margaret Gilbert, Rights and Demands: A Foundational Inquiry (Oxford: Oxford University Press, forthcoming). For further discussion of conversation and collective belief see Gilbert, Social Facts, 294-298, and Margaret Gilbert and Maura Priest, “Conversation and collective belief” in Perspectives on Pragmatics and Philosophy, edited by A. Capone, F. Lo Piparo, and M. Carapezza (Dordrecht: Springer, 2013). There is extended discussion of the implications of any joint commitment in e.g. Gilbert, A Theory, ch. 7. See Anderson, “Outsiders”, 185. The points made in this section apply, I take it, when education is construed broadly as in Andersen, ibid., to include “both formal and informal types of education and training” including the mentoring of junior faculty by senior colleagues. A further point relevant to the discussion in this section is made in Alban Bouvier, “Collective Belief, Acceptance, and Commitment in Science” in Iyyun, vol 56, 91-118, at p.111, discussing collective belief in my sense: “publishing textbooks means the institutionalisation of shared convictions—and sometimes, if not always, joint commitments”.